Kaboul, juin 2002.\nCes jeunes femmes se rendent à l'université. L'autorisation de ne pas porter la burka en public doit leur être donnée par le père, le mari ou encore le grand frère. Aujourd'hui encore, plus de 70 % des femmes portent la burka dans la rue. 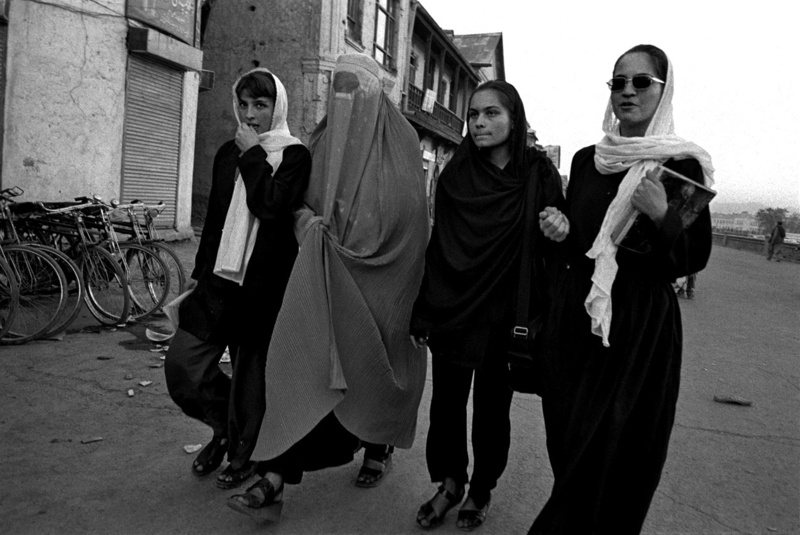 \n\n\nKabul, June 2002.\nThese young women are on the way to the university.\nThey are allowed to do not wear the burka if they have got the permission from the father, the husband or the older brother. Still today, more than 70% of women are wearing burkas in the streets.